Adventurous jazz listeners know the basic math involved in this equation: tickets to see The Bad Plus = a great time. Jazz’s favorite bad boys, The Bad Plus, heads back to the area to take the stage at Ojai’s Libbey Bowl next weekend to open the Ojai Music Festival on June 6. Along with works from their own collection, they’ll take on Stravinsky’s iconic “Rite of Spring” (check out the full festival preview from the Independent for more). 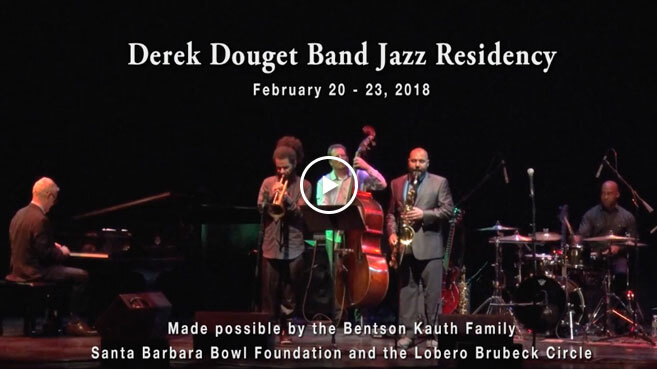 I’m eager to sing their praises after their recent Jazz at the Lobero season-closing performance at the Lobero with the Brad Mehldau Trio. These guys bring a ton of creativity in their instrumentation, and catchy odd-meter time signatures (Check out “Seven Minute Mind“). It’s clear that each musical choice is thoughtfully selected and balanced by the other members of the band. Its these subtleties combined with their incredible musicianship that should serve Stravinsky’s vast score most. I mean, this is a band that clearly has a talent for uncovering the improvisational possibilities, remember their cover of “Smells Like Teen Spirit“? Imagine what will they be able to do with one of the defining works in 20th century classical music. Check out the full gallery of patron reception photos from The Brad Mehldau Trio and The Bad Pus here.